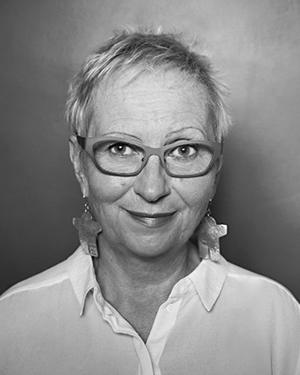 Gitte Weise was founder and director of Gitte Weise Gallery Sydney / Berlin and ROOM 35 Sydney from 1992 to 2010. She was the Exhibition Manager for the 1988 and 1990 Biennale of Sydney, responsible for Pier 2/3 and the Bond Store in Walsh Bay. Gitte was exhibition researcher for the exhibition Pop to Popism at the Art Gallery of NSW and in 2013 recreated the 1929 Hera Roberts Room for the Sydney Moderns exhibition at the Art Gallery of NSW. From 2013 to 2014 she was curatorial and exhibitions researcher at the Museum of Contemporary Art Australia and currently works as curatorial adviser and manager for a private art collection. She regularly leads contemporary art tours in Sydney and overseas.